Designed for yogis by yogis. 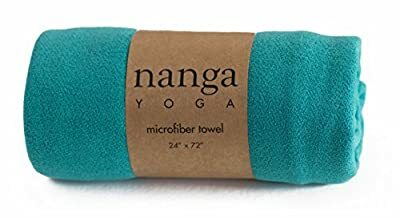 We were intentional about every design aspect of the Nanga Hot Yoga Towel, from the super absorbent, eco-friendly microfiber to the whipstitched trim to ensure maximum durability. The vibrant colors will beautify your practice for years to come. Designed for use as a hot yoga towel for your sweatiest Bikram, Corepower, or Ashtanga Vinyasa practices, but also great for slower Hatha, Asana, or Iyengar yoga focused on precision of movement and longer poses. - Reduce Slipping - Non Slip, skidless construction designed to reduce injuries and provide grippy stability while you focus on perfecting your balance and poses. Best when dampened before your most intense workouts. - Hyper Absorbent, Quick Drying Microfiber - Soak up perspiration with premium 360 GSM (grams per square meter) textured microfiber that absorbs up to 7x the weight of the towel and dries in minutes. - Hygienic and effective solution for extending the life of your yoga mat. Reduce the transfer of potentially harmful bacteria from studio rental mats and extend the life of your yoga mat with this hypoallergenic yoga towel. 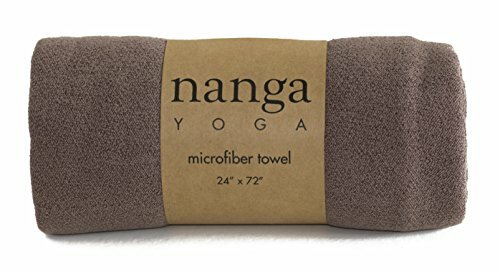 - Lightweight & Compact -Perfectly sized at 24" x 72" to fully cover standard and over-sized yoga mats, but folds up smaller than standard towels. Great for traveling, the gym, beach, and any kind of active lifestyle! - Beautiful, Odor-free, & Printed (for the printed designs) with non-fade, eco-friendly inks. - Machine Washable & Dryable for over 500 washes! The premium fabric and extra strength whipstitching ensures the maximum possible lifespan for your towel. - Lifetime Guarantee -If you have any issues with your towel, we will provide a hassle-free refund. 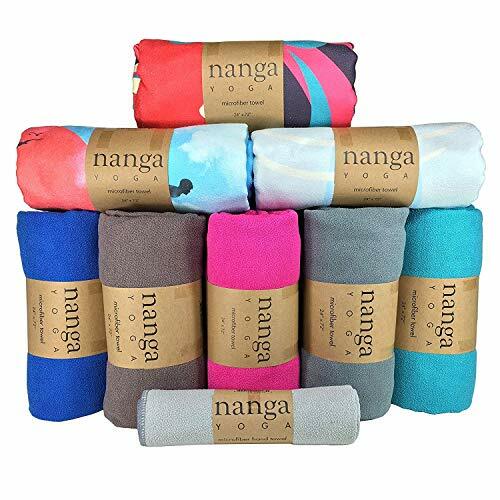 We hope you love your new Nanga towel as much as we do! ✓ WHY SO CHEAP!? - We are new to Amazon. 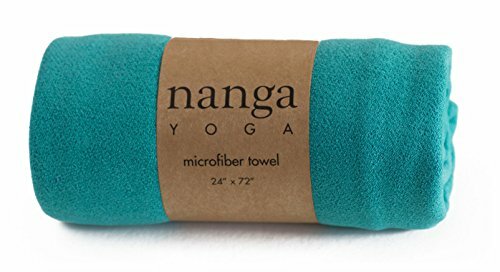 We want to show you how good the Nanga Yoga towel is. And we need your help to leave us an authentic customer review! ✓ Won't Slip During Practice - The Nanga towel provides excellent traction dry or wet. It's a soft microfiber towel with just enough roughness to hold your hands and feet in place. ✓ Absorbent - Holds 7X its Weight in Water - Great for hot yoga classes. 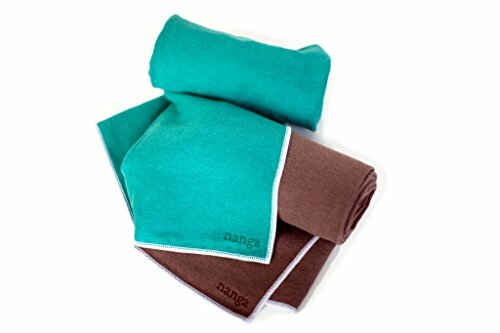 One customer even said: "I bought another one to dry my hair after the shower" ✓ Incredibly Durable - The Nanga Yoga towel is resistant to tears and snags. It has durable sewn edges. And you can machine wash it 500+ times! ✓ Easy to Clean and Sanitary to Use - Machine washable (see instructions). Great to use on top of rental yoga mats, or hotel room floors. Use it any time you want to bring your own clean surface with good traction for yoga.